Janßen, Gerrit and Verbitskiy, Ilya and Renner, Thomas and Thamsen, Lauritz (2018). Scheduling Stream Processing Tasks on Geo-Distributed Heterogeneous Resources. 2018 IEEE International Conference on Big Data. IEEE, to appear. Verbitskiy, Ilya and Thamsen, Lauritz and Renner, Thomas and Kao, Odej (2018). CoBell: Runtime Prediction for Distributed Dataflow Jobs in Shared Clusters. 2018 IEEE International Conference on Cloud Computing Technology and Science (CloudCom). IEEE, to appear. 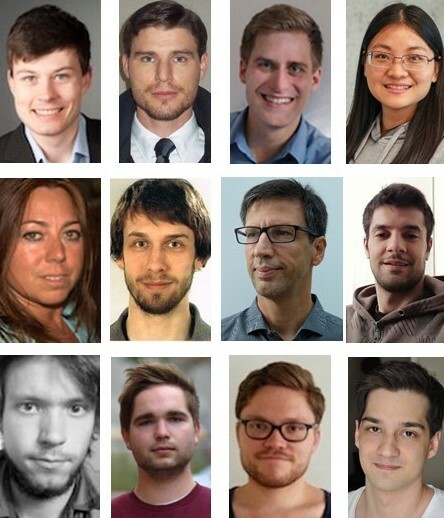 Schmidt, Florian and Suri-Payer, Florian and Gulenko, Anton and Wallschläger, Marcel and Acker, Alexander and Kao, Odej (2018). Unsupervised Anomaly Event Detection for Cloud Monitoring using Online Arima. 2018 IEEE/ACM International Conference on Utility and Cloud Computing (UCC). IEEE. Acker, Alexander and Schmidt, Florian and Gulenko, Anton and Kao, Odej (2018). Online Density Grid Pattern Analysis to Classify Anomalies in Cloud and NFV Systems. 2018 IEEE International Conference on Cloud Computing Technology and Science (CloudCom). IEEE. Schmidt, Florian and Suri-Payer, Florian and Gulenko, Anton and Wallschläger, Marcel and Acker, Alexander and Kao, Odej (2018). Unsupervised Anomaly Event Detection for VNF Service Monitoring using Multivariate Online Arima. 2018 IEEE International Conference on Cloud Computing Technology and Science (CloudCom). IEEE.